Quality of the experience made me choose Mazda over Subaru. Great experience from start to finish. 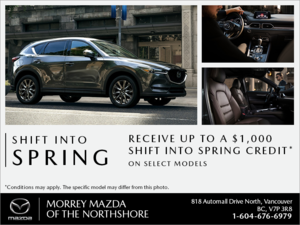 Felt at ease buying from Morey Mazda. All my questions were answered and made to feel that the right choice for me was important to them, regardless of brand. Quality of the experience made me choose Mazda over Subaru.